ISC Suspension has been developing products for the new BRZ and FRS Platform for the past 2 years. We have finally decided that it is time to build a BRZ that will serve as an everymans vehicle. We pride ourselves on creating products that are affordable, and competitive and we would like our BRZ to encompass the same overall design. 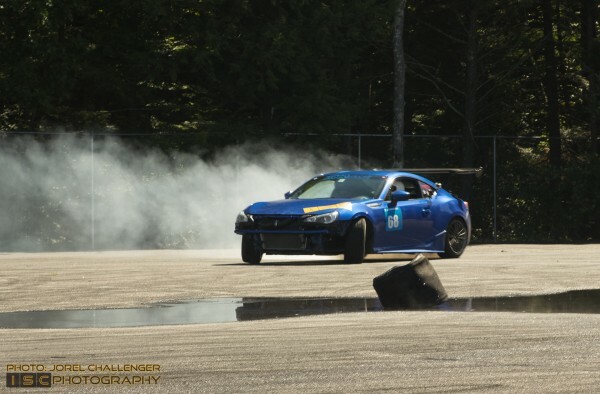 The ISC-BRZ will be a competitive autocross, track, and amateur drift vehicle and will be used for future product development as well as putting our Subaru BRZ suspension products to the ultimate test. We threw the BRZ on the alignment rack today so that we would be able to get a solid baseline of how the car felt. We also got a good peek on the undercarriage of the vehicle, which was very clean. We would expect no less from a newer vehicle. The car also got registered today and will be departing on a trip to get some measurements for future projects. A bath will also be in order soon! We chose these specifications to get a baseline of how the car felt lowered, etc. We will dial this in more once we get some solid track time in. ISC 15mm Spacers got the back of the car looking perfect with the stock wheels. The BRZ wheels are also perfect, because they include the space for the the wheel studs. No need to cut your oem studs like on some other oem wheels. Cold day here, decided to do some Brake work with the BRZ. We installed a 05-09 LGT BBK and confirmed fitment for ourselves. We also added 15mm Wheel Spacers in the front so that we could clear the BBK. Last but not least we installed our ISC N1 coilovers to the vehicle with coilover sleeves. The ISC N1 coilovers are going to keep this car planted to the ground. The car is using 10k/10k for the spring setup with 5mm of pre-load.All ISC coilovers feature independent ride height and pre-load adjustment. This gives them a huge edge over other coilovers in a similar price range. All coilovers also include a 5 year warranty! The coilover sleeves will ensure that these stay new going into the future! We’re in New England, so even though this is a track car the sleeves will protect the collars and threads from the elements. The 300mm length coilover sleeves is the perfect size for the BRZ coilovers. 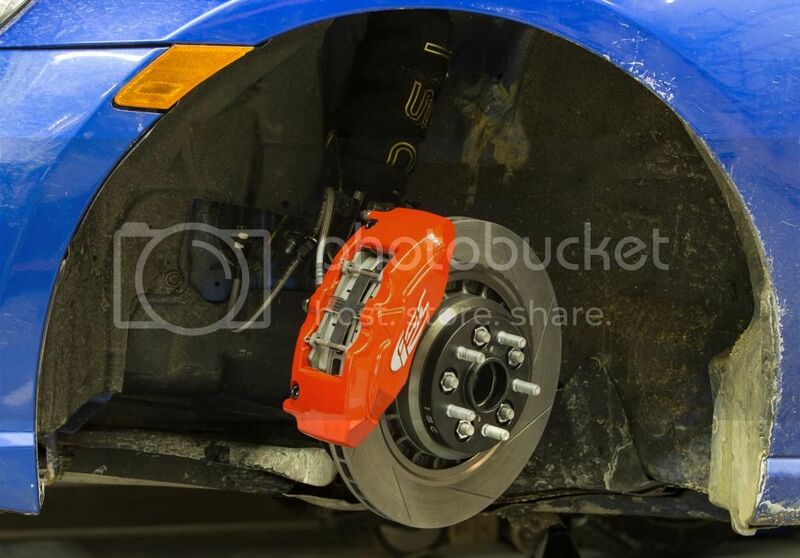 Alright, so as some of you may know we recently picked up Stoptech as a sponsor, so we had to remove the ISC brakes that we had test fitted and threw on the Stoptechs. They are an amazing quality piece, the small details really matter and they provide some of the best installation instructions that we have personally ever seen. Before we dive into that, I’d like to show a photo of our coilover sleeves. They look really good and are doing a great job keeping the coilover protected. One note to make is when you are installing these on a set of ISC coilovers with thrust bearings you want to make sure you really get it covering the thrust bearing. If not water can seep in and mess up your day! The small details are really interesting on them as well. They feature an air dam that draws more air in to cool down the brakes. Remove your old gross brake rotors that don’t have totally cool slotting! It is always a good idea to inspect everything as well while you are removing components. Check for any missing, torn, or worn componenets that may need replacing. It’ll make your life easier on down the road! Install the new rotor and reinstall the caliper with new brake pads! Stoptech also does make BBK for the rear, but we decided to go with only the front and sport kit for the rear. Making more progress on the front control arm today. Final tweaks need to be made but this will give you all an idea of what the product will look like installed. It has gone through many revisions, but is almost ready for full production. We will provide more updated specs on the arm when it is closer to its release. Today we took our BRZ and added some much needed new rear endlinks from Whiteline. I am not sure if anyone else caught it from photos but one of the OEM endlinks were really twisted badly. They made installing new components very difficult, and we decided to just go with a set of Whiteline adjustable endlinks instead. These things are great, they feel super sturdy and are very easy to adjust. Another great product from Whiteline Suspension, exactly what we have come to expect from them! And here is a shot of the endlink side-by-side with the old broken endlinks. As you can see Whiteline’s are much beefier and nicer in quality than the old ones. The installation was smooth and the endlinks look great with our control arms. We also got the chance to add the Whiteline Rear Sway Bar Mount Braces for the BRZ. These mounts are great in keeping the rear end nice and tight. This weekend we have the opportunity to participate in our first Clubloose North event. We are a title sponsor for these events and we’re really happy to work with the local drift community! 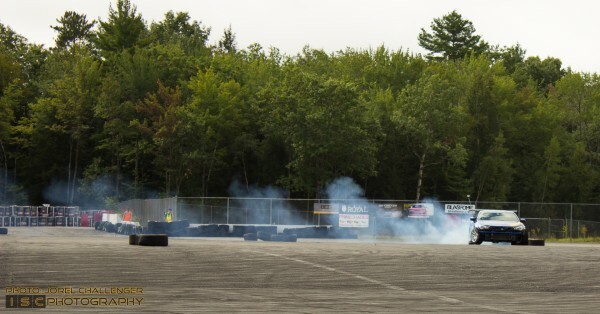 Andrew Wallace, the owner of ISC Suspension got to drift for his first time and learned a lot about drifting and what it takes to operate a drift car. We will be attending more events, and were happy to report that our predicted alignment specs worked out for the car really, really well! We will be back for another round of Clubloose North on May 2nd! This past weekend was jammed full of great events with great friends! Saturday started early at New Hampshire Motor Speedway where Jorel and Andrew got setup for a full day of drifting and manning the ISC Clubloose Booth. This time Andrew and Jorel both had the time to drift. Andrew was able to get more proficient at his technique and was able to connect more drifts than he did during the last Clubloose event when he was just learning how to get the car sideways. We are looking forward to the next event on May 16-17th! We will be there for both days to tear it up! We just got done installing a new crash bar on the front of our BRZ! We also ended up going for a much more aggressive alignment for the upcoming Clubloose Event happening this weekend on May 16th and 17th. 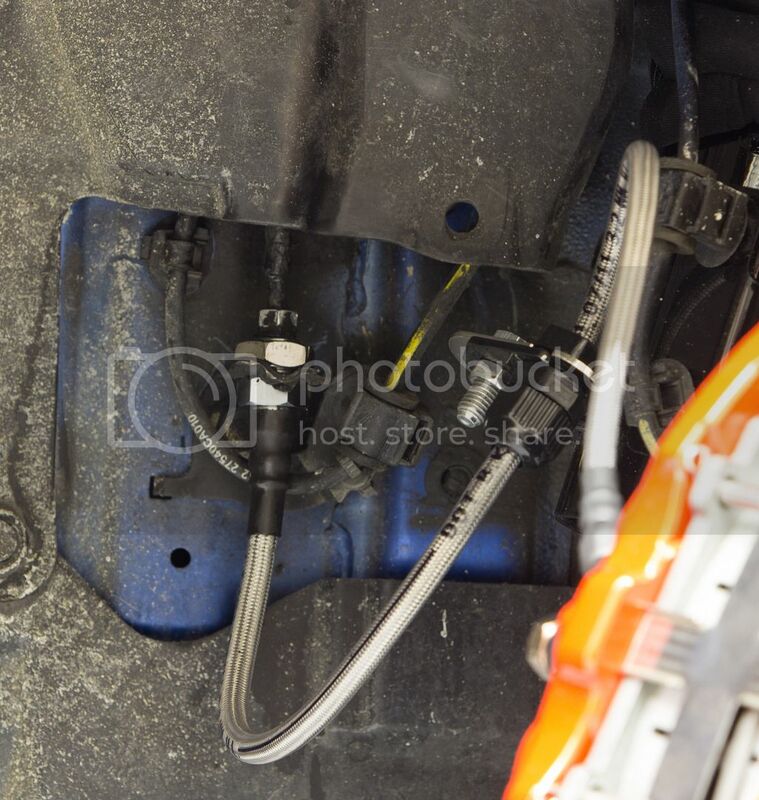 Below are the alignment specs (click the attachment) as well as some photos of the BRZ crash bar. We may be offering this crashbar for sale soon! You will need to cut your fender lines just a bit to utilize it without the bumper, so please keep that in mind! We will have further updates soon, the new clutch just came in and will be installed soon! We had a blast this weekend at Club Loose North. We decided to keep the front bumper off and go a little more aggressive this time. We figured if we kissed some tires with the crash bar it would be a little more forgiving 🙂 Andrew was able to get a lot of seat time and was moved up to B group at the end of the day. Jorel also did a lot of advancement and was lucky enough to get non stop hot laps in the BRZ. The more aggressive alignment really helped the car. Andrew and Jorel both really learned a lot about line and the best ones to follow at the Clubloose track! Today we took some time to work on our shop BRZ and install our prototype angle kit for the BRZ. After getting into B class we decided it was time to get a little bit more angle so that we could get some more extreme drifting out of the car. Angle kits help achieve a more stable and controlled drift. We’re looking forward to introducing this product to our line of performance suspension products that we now currently offer for the Subaru BRZ and Scion FRS. Make sure to follow us on instagram for this new product that will be out soon! These make a great addition to our Whiteline Bump Steer kit and work well this it. We’re excited to get out onto the drift track and give these babies a whirl! Time for a BIG WING! and some new tires! It was time for another round of Clubloose North! This time we were equipped with some new tires, a fresh new wing, and some Work CR Kai wheels. The car performed really well and the tires helped us get sideways! The company BRZ has made strides suspension wise and handles like a dream. The BRZ is one of the single best handling cars that we have driven, and it is very, very balanced. However, we noticed that the single bottle neck that we were facing was power. This was primarily because we were drifting it. The car is balanced as I said before, and autocross and daily driving the car feel great. To be able to get more elegant and flashy drifts out of the BRZ we knew we would need more power, so we decided to go with some Borla Headers, and a Tanabe Mid pipe to try and up the power of the car. Both pieces looked great, the quality and finish of the Tanabe pieces and Borla pieces were off the chart. As you can see the Tanabe mid pipe and Borla headers are much nicer than the oem pieces. The Borla headers feature a spot of the OEM o2 sensor as well. They also feature two flex pieces in the center of the headers. The headers were easy to install and bolted on quickly. As you can see above they look nice and mean installed on our Drift Subaru BRZ. The midpipe was also easy to install with the use of a lift. We already have the Perrin 3 inch Catback so there was no need for an adapter plate. You can see the finished product here. It’s nice to have a full header back exhaust installed now. The BRZ will now be on it’s way to The Subaru Shop in Tiverton Rhode Island for a tune to bring out the true power that these free flowing exhaust pieces can provide. We got some short video of the exhaust tone and it sure has changed a lot. Take a peek at the video below. This weekend was Clubloose North’s #IndependenceMovesNorth event. This was a two day event but we only attended the 5th due to our own July 4th festivities. The BRZ and Andrew were ready to go and excited to get back out onto the drift course. The other drifters at the event were display tons of American pride, including flags, wheel caps, bandanas, shirts, and more. There were some new comers and sold old favorites out their as well. For this event we were also able to get some great go pro footage for us to make a video and also for Andrew to analyze his own driving. It was a warm day but it was filled with friends and lots of tire smoke. You always go home from a Clubloose event with a layer of burnt rubber on your skin, but the drifters love it and live for that lifestyle. We burnt through a whole set of tires that day. The Achilles radials lasted much longer and performed much better than normal street tires! The car also felt much better after being profesionally tuned by Jay Perry of The Subaru Shop. The car’s addition of power really helped keep those drifts going and make the car easier to get sideways. We can’t say enough about the entire exhaust system, and it seems that it takes that an a tune to get the car to wake up. We’re running a Borla Un equal length Header, Tanabe Midpipe, Perrin Overpipe, and Perrin 3 inch Catback Exhaust. Hello everyone! We know that we have not updated this in quite a while but we have some information to pass on! We’ve been running drift events back to back! 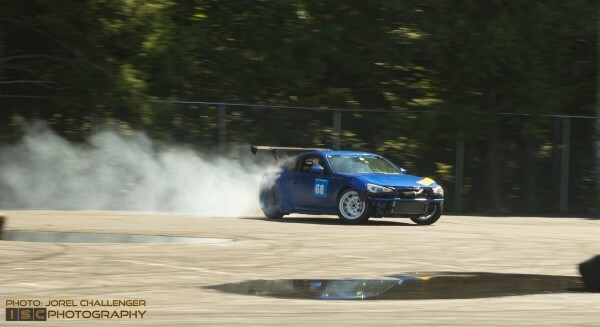 In August we had HIN going straight into a drift event. Then more recently we had events on the 12, and the 20th. Back to back weekends! We will be at another Clubloose event for October 4th, and then at the last event on the 24th and 25th. We’re pretty pumped for it! The next step for the BRZ will be a cage. Andrew is now currently ready for A group but is held back because he does not have a cage for the car. Once we have a cage installed we will be able to do tandem drifts with other drivers! Andrew is excited to progress further and further and we are currently looking at working on the BRZ as a winter project since we will need much more power for next year. With the addition of a supercharger or turbocharger we will be able to maintain more intense drifts and remain competitive. Below are some photos from the most recent events! We will see everyone on October 4th!